Boondi Laddu was the first recipe posted on Cilantro. 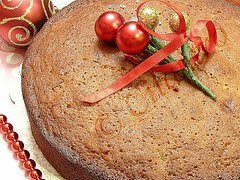 My first post is always very dear to me and the picture I had earlier posted was not as good as it is today and this particular recipe was not given its due recognition as the new ones. Last year when I made Laddu for Deepavali, I took pictures and replaced the old one on to my post. When the Repost event was announced I decided to bring it back to the limelight. 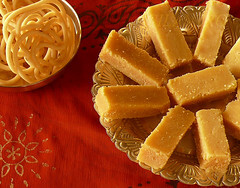 Looks gorgeous.. Laddus always reminds me of weddings and speical occasions. Looks perfect, like spicy Boondi. Laddoos look yummy. Wonderful and beautiful looking boondi laddus.I love laddus like others. I wish I have your laddus now. Thanks for sharing. Ladoos look amazing and delicious. 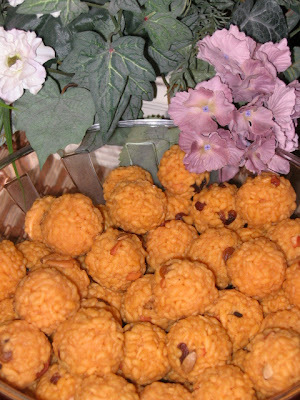 lovely ladoos..your earlier picture is also very good..
ladoo...OMG... our fav. This looks really mouth watering..
Oh Cinlantro, you bought back so many memories. My mom makes the savory boondi at home and every time she made it we would hang around the kitchen to eat the bigger, misshaped balls. In our family, a halwai comes during weddings to make the boondi ladoos and the boondi padna (dropping boondi) is quite an occasion. I am so impressed you make these at home. I haven't had the courage or the initiative to try this but I'll drool and reminisce on your page. Delicious laddoos...mouthwatering here, prefect entry..
Ur sweet's photos are always tempting..I still remember fruit halwa,adhirasam fotos..laddu looks gr8 as well..
2 yrs back i made them and loved it. Looks like you have made in abundence and i hope you parcel me some. I don't have that spoon to make bhoondi, next trip to india i am gonna buy one. Any festivity, Laddoos are the first thing ladies at home plan for... And by and far everybody loves to have them... Love the laddoos they have come out well. These ladoos look professional - I know the pain that goes into making these - the first part is easy - the tough part is to make the balls while the bhoondis are still hot - your ladoos look better than perfect! Awesome! They look like our typical South Indian Laddu's; good post. What a gorgeous click! Laddoos look so perfect! There are two indian sweets that I dare not even dream of making and those are boondi ladoo and puran poli. I am in awe of how you made the boondi Laddoo cilantro, they look so good. my laddu is very sticky. The sugar syrup could have been watery, try leaving out for sometime which will make it a little hard. Let me know.